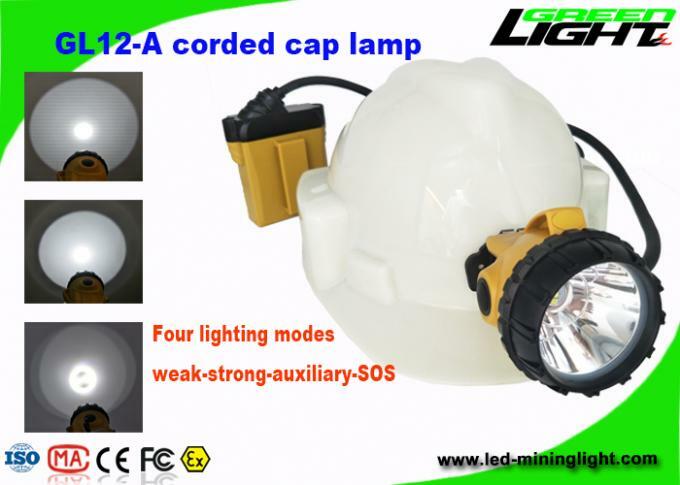 GL12-A New design corded miner cap lamp use 1pcs 3W Cree led as main light,2pcs SMD leds as the auxiliary lights with high capacity 10.4Ah rechargeable Li-ion battery. It has four lighting modes weak- strong-auxiliary-SOS .It uses Special material instead of PC, ABS as tradition lamps. 2. 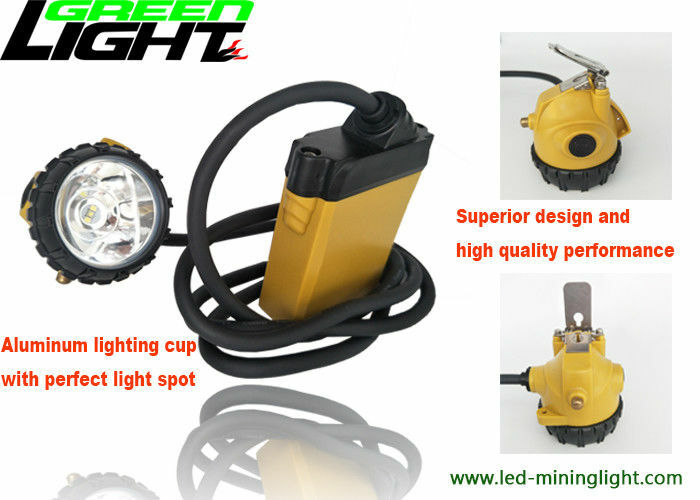 Explosion-proof, water-proof, protection in electrical short circuit,automatic power- off on the socket, 100,000 hours led lifetime. 4. More than 24 hours working time, more than 25000lux high brigtness, more than 1000 cycles lifetime of the battery. 5. All our lamps has one year warranty. We will keep free maintenance for you in one year. Aluminum lighting cup with perpect lighting spot. It can be used in Patrolling, Overhauling and Emergency in electrical power company,Mine , Military, Police, Fire Fighting, Dockyard and other hazardous locations ect. GREEN LIGHTING assumes to offer most competitive price with good quality and punctual delivery to satisfy our valued customers. Reasonable price, reputation innovation, high-quality service, strict quality control processing make us approved by global customers.